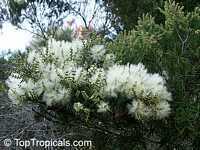 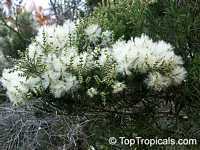 The Tea Tree is presumably named for the brown coloration of many water courses caused by leaves shed from these trees. 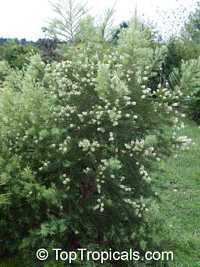 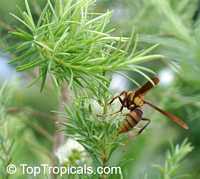 It is a gorgeous evergreen shrub or small bushy tree, growing to 15-20 ft has narrow linear leaves, highly aromatic when rubbed. 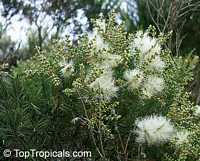 The plant is very slow growing and can be kept as a bush for many years. 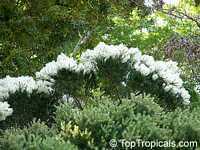 Profuse white flowers are borne from late spring to mid-summer. After Eucalyptus, this is the most famous of all Australia plants. 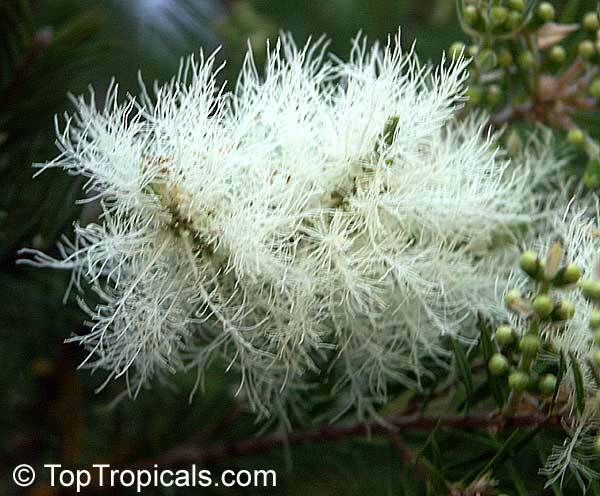 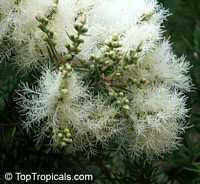 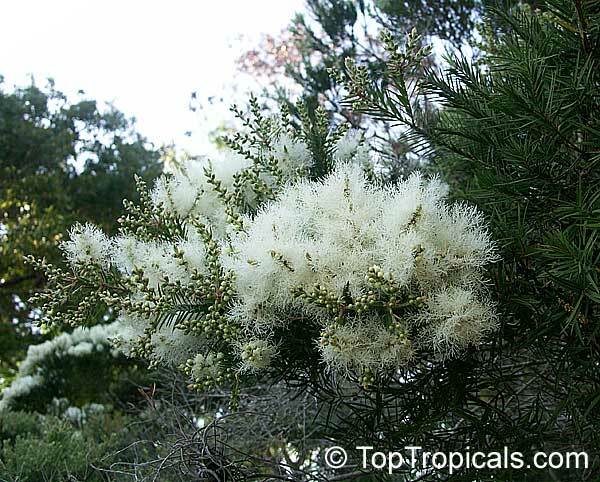 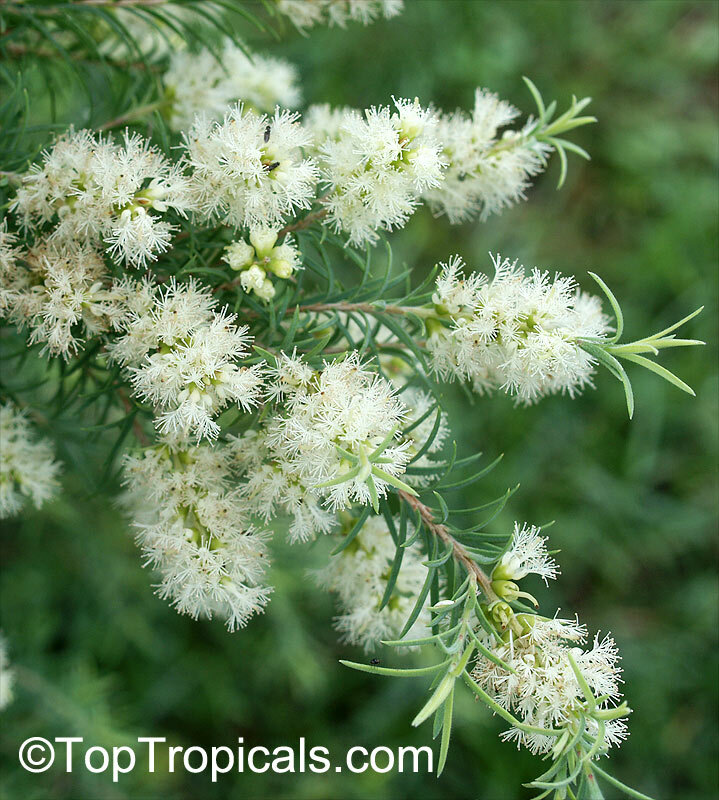 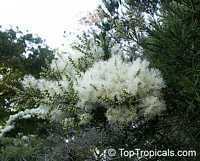 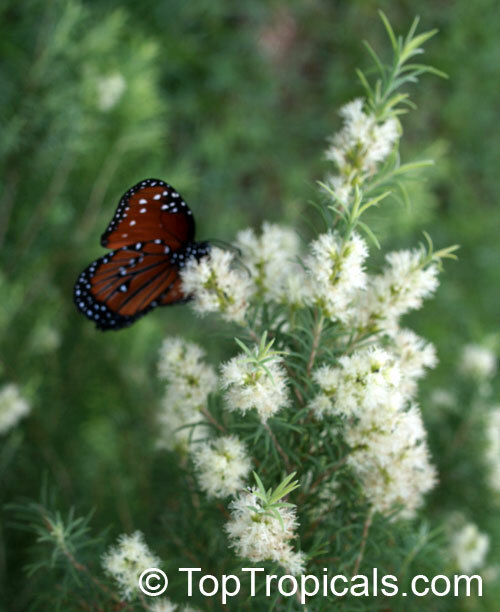 Melaleuca alternifolia is notable for its essential oil, which is both anti-fungal, and antibiotic. 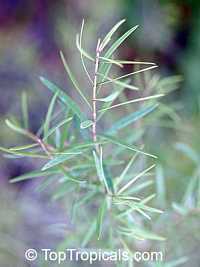 It is produced on a commercial scale, obtained by steam distillation of the leaves, and marketed as Tea Tree Oil. 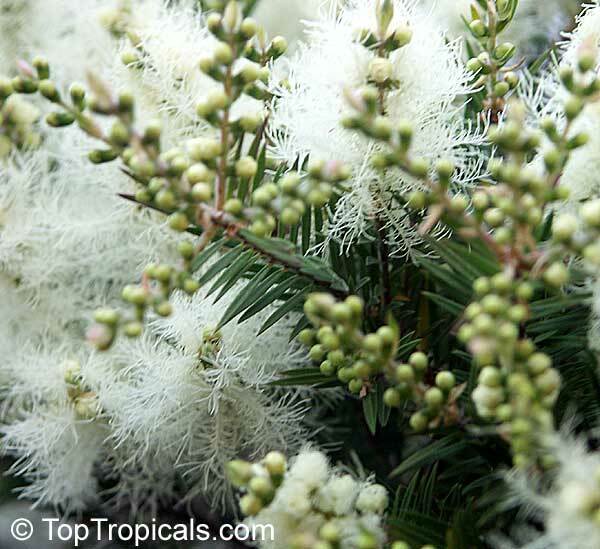 There is a very long history of its use in aromatherapy. 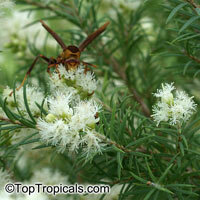 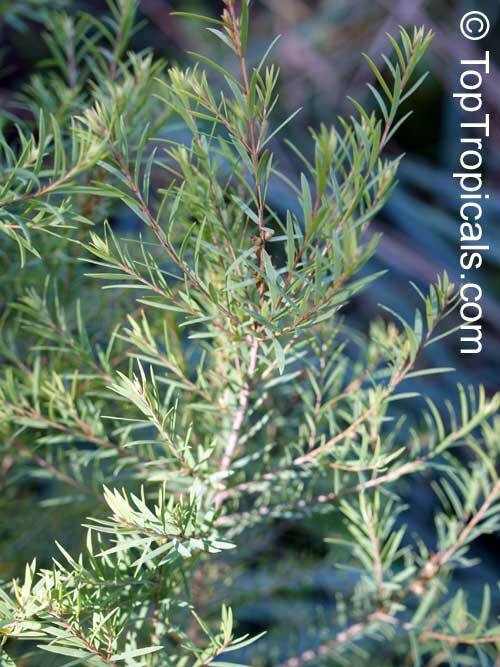 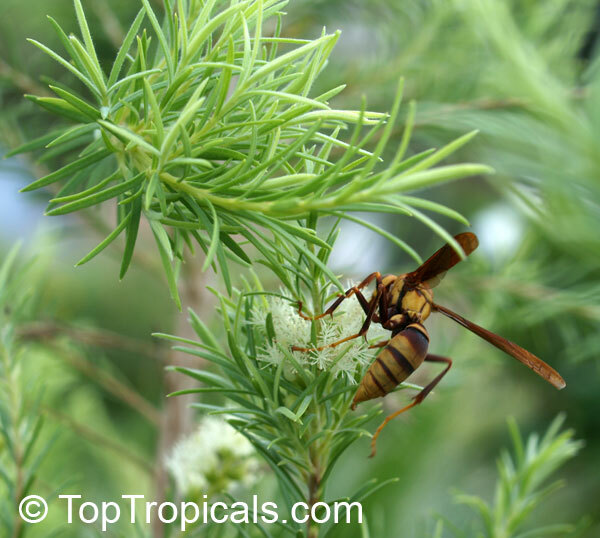 The native Australian inhabitants used the therapeutic oil of this tree for a wide range of topical applications. 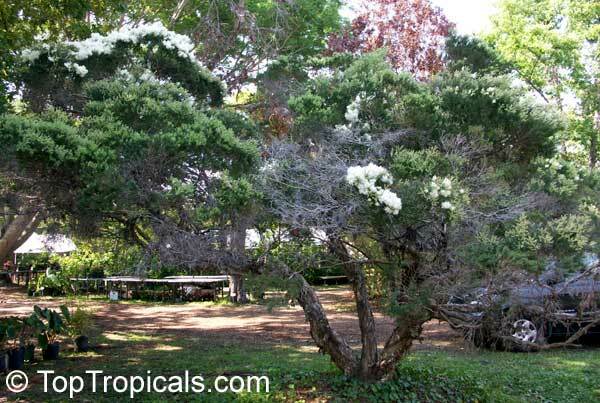 They crushed the leaves to use as rubbing mediums and even bathed in the water that had collected under the trees. 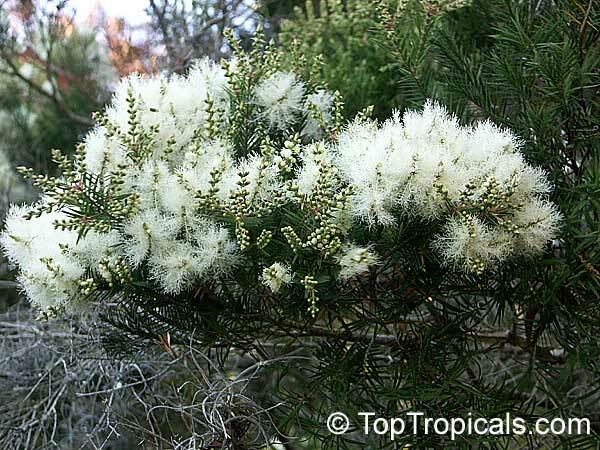 The use of Tea Tree oil remained confined to Australia, as a bush remedy, until 20th Century. Only in 1922 an Australian chemist Arthur Penfold distilled this oil and published a paperabout its wide-ranging antibacterial and antifungal activity. 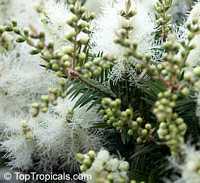 It was announced to the world that this was a new type of germicide, gentle to skin cells but harmful to the invading germs and successfully used to treat infections and infestations. During the Second World War Tea Tree Oil was in such short supply that all the available stocks were used to help stop infections from war wounds in soldiers. 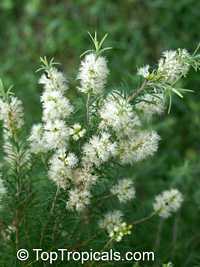 However, after the war, it was deemed necessary that a cheaper, more readily available antimicrobial alternative should be manufactured, and the once thriving industry went into a steep decline. Only in the 1990s, a scientific research team lead by Professor Tom Riley at the University of Western Australia, continued to promote the effectiveness of this ancient and valuable oil. 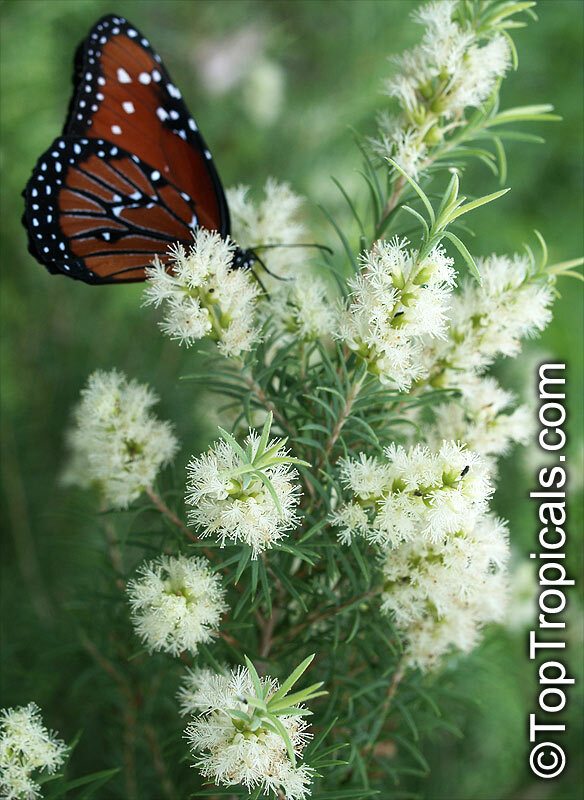 Melaleuca oil was found to be invaluable as a topical disinfectant for treating a staphylococcus strain that had evolved to beat most of the synthesized antibacterial medicines (antibiotics) available from orthodox medicine. Tea tree oil has been used as complementary therapy in surgery, burn care, and dental care. 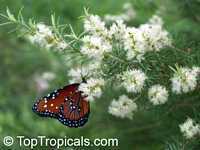 Numerous body care products are available, including soap, shampoo, toothpaste, lip balm, topical cream, and essential oil. This valuable plant is pretty easy to grow. It requires a fertile, well-drained moisture retentive lime-free soil and a full sun. 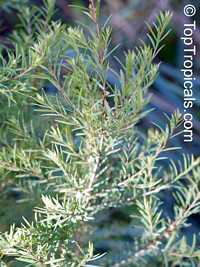 Marginally frost hardy, it succeeds best in a warm climate. 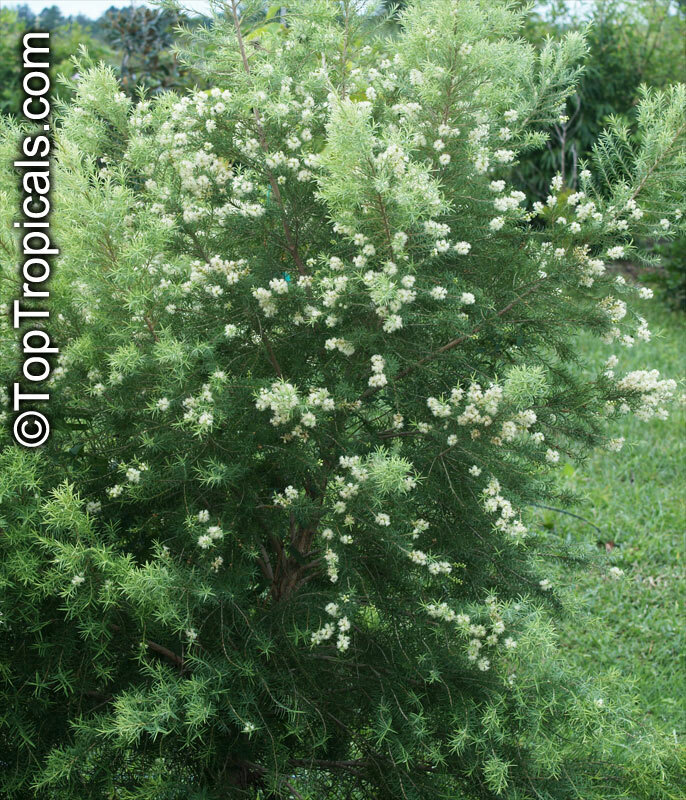 It makes good hedge or screening plant. 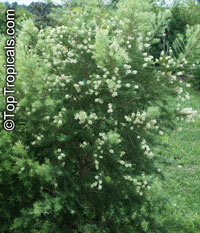 The leaves when crushed smell wonderful: a mix of lemon scent and a fresh forest strawberry. Propagation by seeds only, which is not always successful. 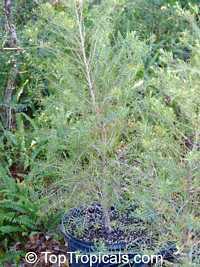 For successful germination, seeds must be kept in slightly moist medium with good drainage, and only slightly covered by the mix. 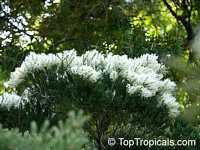 Bright light and warm temperature is a must for germination. This plant is very rare in collectors gardens, especially bigger specimens.